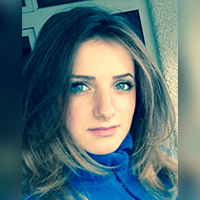 Testimonials | Ms. Teodora Buta | Study Bridge Ltd.
Ms. Teodora is a HNC student who came to UK few months before starting her HNC course in November 2014. She came to know about Study Bridge through recommendation and contacted us. She was excited when she heard that we can help her to get fully funded HNC Programmes within a few months of moving to UK. What is you goal after completing your HNC course?